These Black & White Cheesecake Bars are a chocolate and cheesecake lover’s dream come true. An Oreo crust, topped with two layers of cheesecake and then finished off with a chocolate Glaze. Absolute perfection! 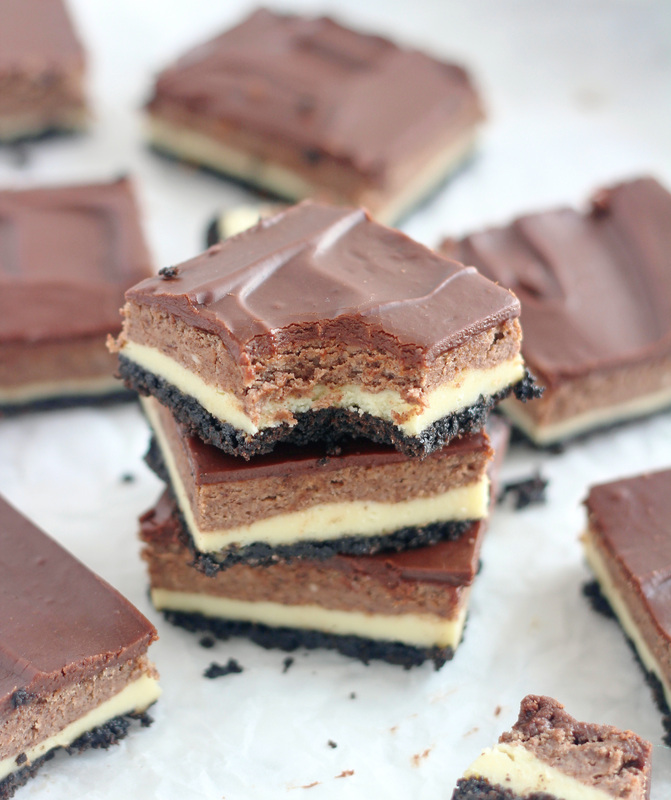 Oh these Black & White Cheesecake bars. . . .heaven help me! 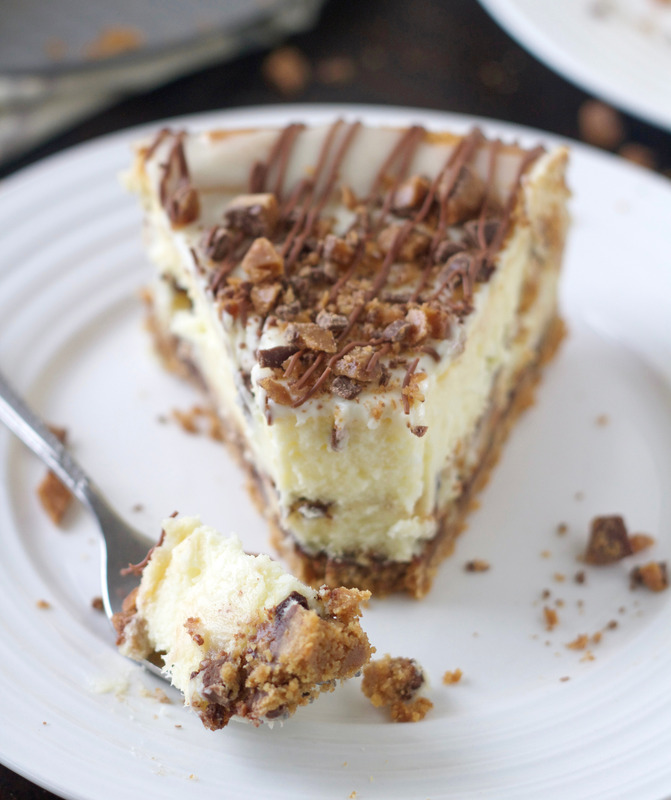 They’re a chocolate and cheesecake lover’s dream come true. The added bonus with these bars is if you’re someone who is team chocolate when it comes to say ice cream, but team vanilla when it comes to something like cake, I got your back today because these bars have both (obviously). 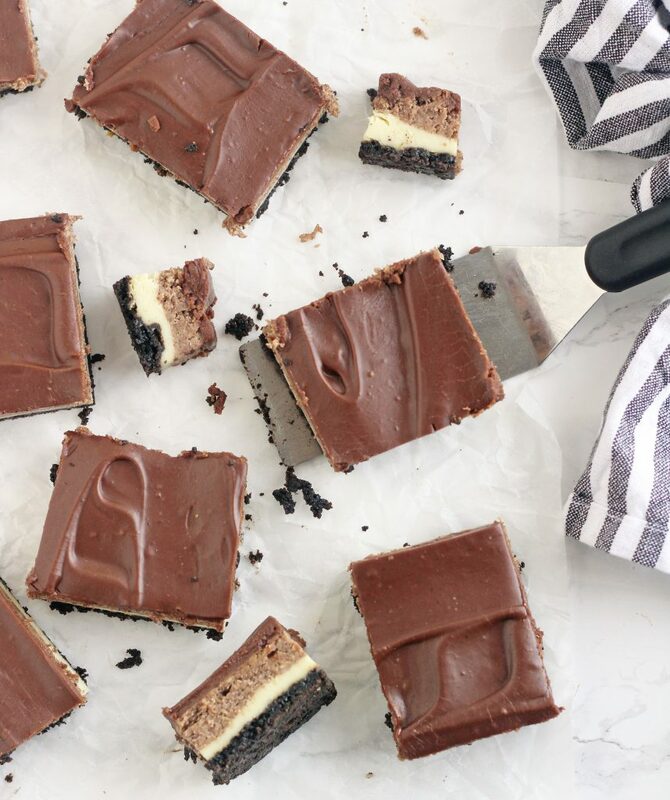 They start with an Oreo crust then have a layer of vanilla cheesecake, followed by chocolate cheesecake and then topped off with a chocolate glaze. Are you drooling yet? You should be. These cheesecake bars are insanely delicious. 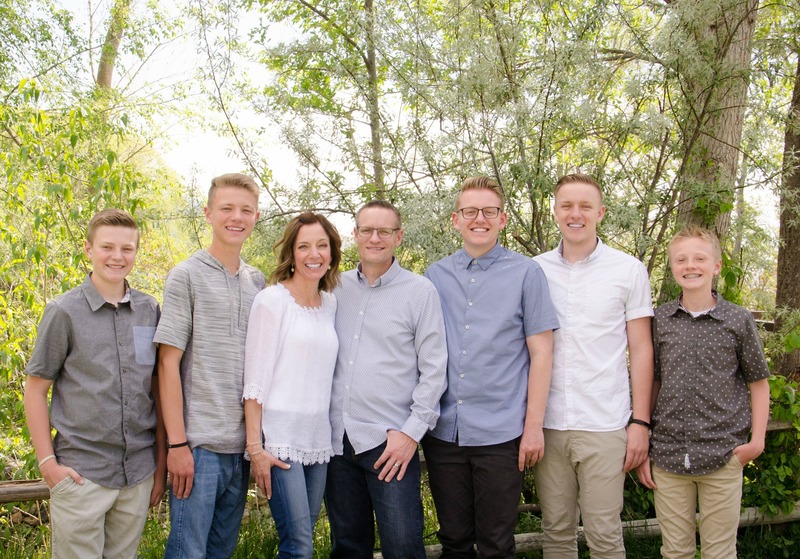 If I remember right, I pawned them off on my son Zach and his friends, because I did not want to be left alone with them . . . .no way! You’re welcome to leave the chocolate glaze off, but I’m not sure why you would. If I would have had some fresh raspberries when I made these, you’d better believe I’d have topped each one of these off with a fresh raspberry or two. Oh an one more thing, how in the heck did it get to be May?!?!? Is it just me or does every month seem to go by faster and faster? Make sure your cream cheese is at room temperature. I usually take mine out of the fridge at least 3 hours before I’m going to use it. You can just eyeball the cheesecake filling when you’re dividing it in half. No need to measure it out. It’s ok if one layer ends up having a little more filling than the other. When you pour the melted chocolate into the cheesecake batter, there will be little “flecks” of chocolate that don’t completely mix in. 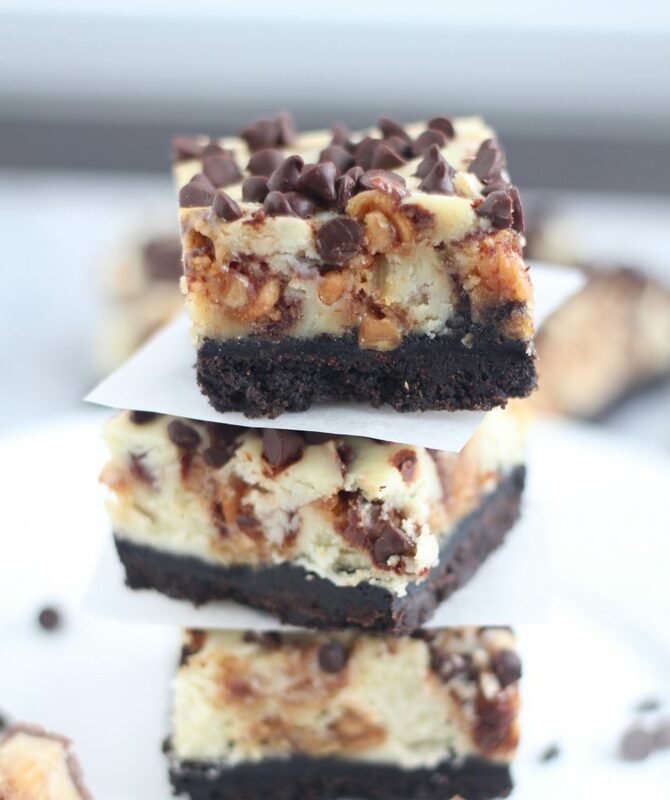 No need to worry about it because once you bake these bars in the oven, those little bits of chocolate melt. These need to chill several hours and overnight is even better so make sure you plan ahead. The very center of these may not look set when you take them out of the oven, that’s ok.
Preheat oven to 300°F. Combine cookie crumbs and butter; press firmly on bottom of 13x9-inch baking pan. In large bowl, beat cream cheese until fluffy. Gradually beat in sweetened condensed milk until smooth. Add eggs and vanilla and mix well. Pour half the batter evenly over prepared crust. Stir melted chocolate into remaining batter and mix well. 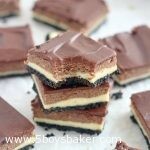 Pour chocolate layer evenly over plain layer and carefully spread. Bake 55 to 60 minutes or until set. Cool. Top with Chocolate Glaze. Chill thoroughly. Cut into bars. Store leftovers covered in refrigerator. In a heavy saucepan melt chocolate, butter and over low heat, stirring occasionally. Remove from heat and add powdered sugar and hot water, whisk until well combined. 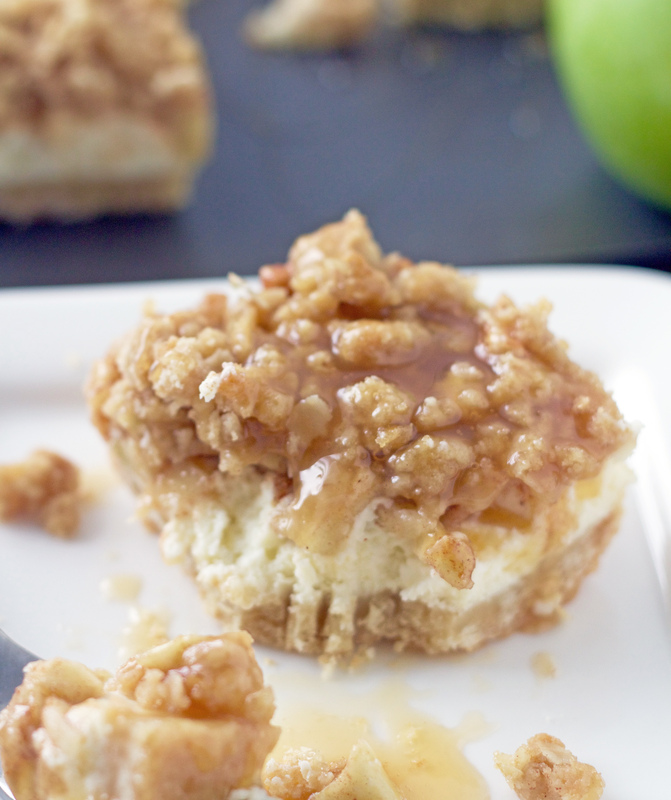 Immediately spread over cooled cheesecake bars. 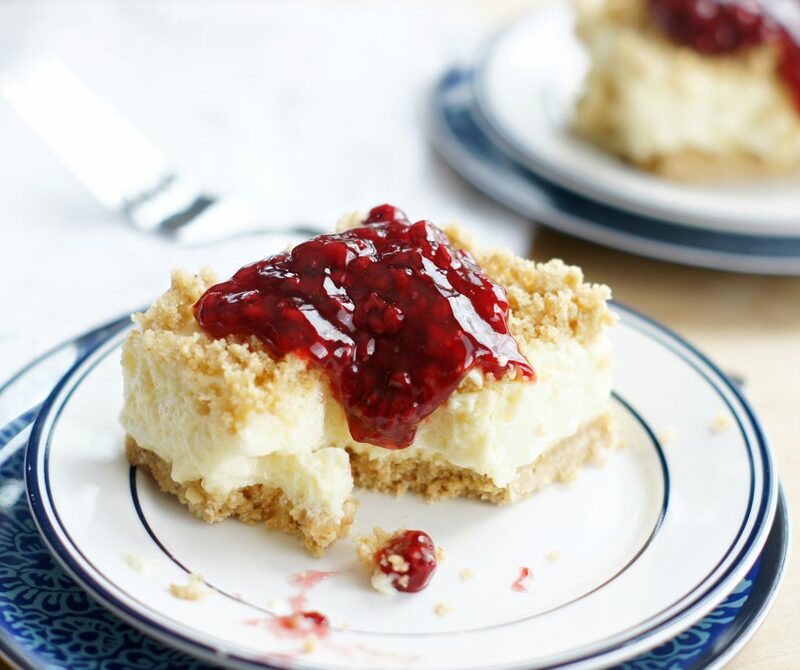 More Cheesecake/Cheesecake Bar Recipes . . .
Was planning to make these today for a church potluck tomorrow. I was thinking “why are there no eggs in this recipe?” And then saw eggs in the directions and not in the ingredients list. I had to make a guess as to how many. It’s in the oven now, I’ll let you know how it turns out. Hi Katie, I’m so sorry about that. I just fixed it and it’s 3 eggs. Hopefully you were right or close. Let me know how they turn out. Three was what I guessed. 🙂 And it turned out great. Many positive compliments! The instructions for the cheesecake say to add eggs, but the ingredient list doesn’t say how many eggs to add? Hi June, I hate when I leave an ingredient off, thanks for catching that. I’ve fixed it in the post. It’s 3 eggs.